A Switchboard Upgrade can make your home safer. Often it is not until an Electrical emergency takes place that we need to know what to switch off with a home or office switchboard. Upgrading fuses to safety switches can reduce the risk of an electric shock for everyone in the home. With so many old switchboards with unmarked fuses and circuits how would you as a home owner know what to switch off if you had to do it in an emergency? Jim’s Electrical can upgrade your switchboard and clearly marking everything, which makes identification a lot easier in an emergency and makes life safer every day. 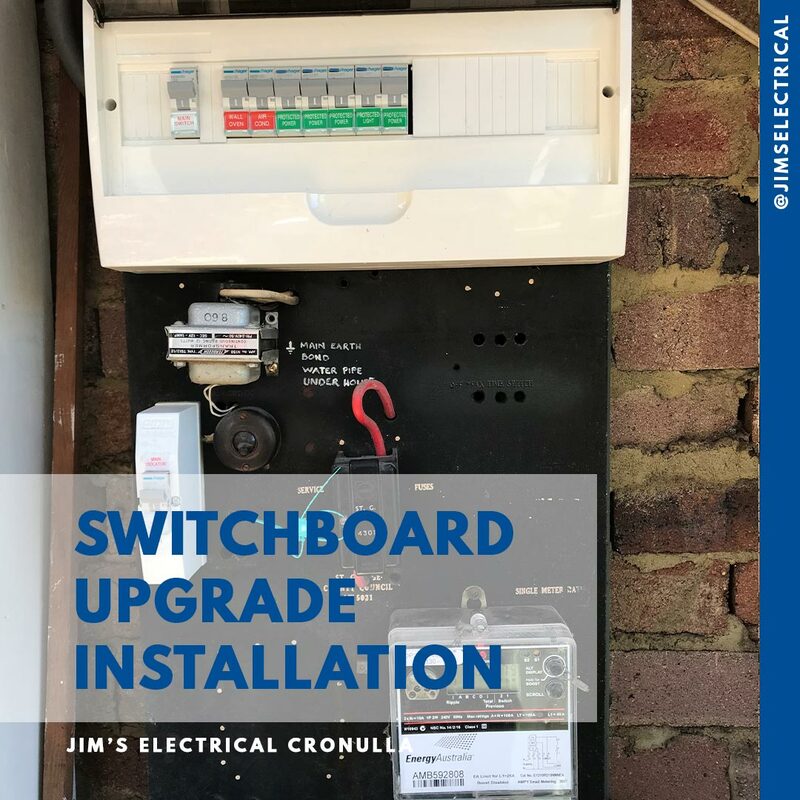 A Jim’s Electrical switchboard upgrade can be done efficiently with a free quote. Jim’s Electrical provide free quotes for switchboard upgrades for your home or office. Phone 131 546 for a local fully licensed, insured and Police Checked Electrician.